Sell Your House Fast For Cash in Dallas and Houston Texas Today. We Will Buy Your Home for Cash! You’ll Get a Fair FREE Cash Offer — You Choose The Closing Date. We Will Buy Your Home in Dallas or Houston, And Pay All Closing Costs! We Buy Houses Everywhere In Dallas and Houston TX for Cash– Regardless of Price Or Condition, We Will Buy Your House For Cash. Learn About Our Simple and Easy to Understand “Cash Home Buying” Process. We Will Buy Your Home in Dallas or Houston, And We’re Prepared To Give You A Fair ALL CASH Offer For Your Home/House Today! If you want to sell your house fast in Dallas or Houston TX … we’re here and ready to give you a fair all-cash offer. Stop the frustration and inconvenience of being stuck with an unwanted property. Let us buy your home in Dallas or Houston Texas, regardless of condition. Avoiding foreclosure, in the middle of a divorce? Got transferred? Upside down on your mortgage? Dealing with liens? It doesn’t matter whether you if you currently live in it, if you are renting it out, it’s empty, or even it’s inhabitable. We assist homeowners like you who find themselves stuck to sell your house fast. It doesn’t matter if you find yourself with unwanted properties you inherited, houses that are vacant that you can’t get rid, if you are late on your payments, have downsized and can’t sell your old house… or if your house is rundown and needs repairs that you can’t afford… and yes, even if the house has been damaged by a fire or has delinquent or unruly tenants we can still help you sell your home fast. Bottom line, if you need to sell a property in Dallas or Houston… we want to make you a fair all cash offer and close on it when the time is right for you. 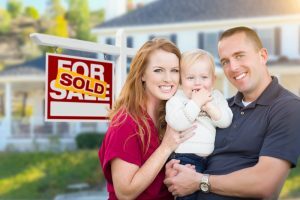 Do You Need To Sell Your House in Dallas or Houston Texas? If you need to sell your home for cash call USA Cash For Houses TODAY! Why wait? Just contact us today. We want to buy your house for cash in Dallas or Houston TX today! Want more good news?.. There is no clean up or repairs needed on the property. USA Cash for houses can help you get quick cash for your home sale, and it is an easy process. Sell Your Home Fast For Cash! You won’t need to clean up or fix anything on the property, We will buy your home as-is for cash. USA CAsh For Houses can help you! You won’t have to waste your time trying to find an agent who you think can trust and THEN find out they can’t deliver on their promise to sell your house quickly (meanwhile, you’ve waited 3-6 months or more). We will buy your home in cash. You won’t get stuck in a contract that binds you to a Realtor for a long time, even if they can’t sell your house. At USA Cash For Houses, we will buy your home fast, and get you quick cash for your Dallas or Houston home. You won’t have the hassle sorting through tons paperwork, waiting, and wondering if or when your house will ever sell. Get cash today, why wait! We’ll know immediately if we can help you out, and unlike when you sell through a listing agent, you won’t have to wait to see if the buyer can get their financing approved… We will buy your home with a fair cash offer, and we have our own funds and we’re ready to buy your house now! All that extra work can add stress to an already difficult situation, take months instead of days, and in the long run after paying the agent’s commissions and fees, you may not even come out ahead of the game. Don’t wait any longer, get cash for your Dallas or Houston home today! All that extra work can add stress to an already difficult situation, take months instead of days, and in the long run after paying the agent’s commissions and fees, you may not even come out ahead of the game. USA Cash For Houses can help get you cash in hand! We want to help make your life easier and get you out from under the house that’s causing you stress… all while still paying a fair and honest price for your Dallas or Houston home/house. We help-out homeowners just like you every day by buying their homes/houses for cash in Dallas and Houston TX. Good people find themselves in all kinds of tricky situations. Whether it’s a nasty divorce, an impending foreclosure, loss of income due to the death of a beloved family member, or if you are stuck with a difficult rental property, we can help you too, and get you cash for your home. We buy houses fast all over Texas and pay a fair cash price. A lot of times, people who own homes have busy lives and just don’t have the time it takes to do all of things that usually need to be done to get a house ready to sell on the market… if this sounds like you, just give us some info about the property you need to get rid of and find out how you can sell your house/house fast for cash in Dallas or Houston Texas. If you just can’t put up with the burden of owning your house any longer, of if you simply want to avoid the hassle and time-consuming expense of selling your property through a listing agent, let us know about the property and we will make you an offer that will make it easy to sell your house fast for cash. If you’d rather talk to someone in our office before sending in your property information call us today at 800-448-6030. We buy houses for cash throughout the entire great state of Texas, specializing in the Dallas and Houston metro areas. If you need to sell your house for cash fast in Dallas or Houston TX, talk to us… we want to give you a fair no-obligation no-hassle offer today. It’s your choice whether you take it or leave it. You have absolutely nothing to lose!!!! Need To Sell An Investment Property? Is having little to no equity keeping you from selling your property? It just doesn’t make sense to go deeper into debt to pay fees Realtor fees on a home that is already upside-down. Feeling helpless? Don’t! We can help, We can buy your house. Where others only see problems, we present solutions, in CASH! Worried about tax liabilities of selling rental or investment property? Have you been transferred by your company, but can’t carry two house payments while waiting for your house to sell? Thinking about downsizing? Overburdened with financial problems? Facing a divorce? Are you loosing sleeping worrying about home repairs or updates that you simply don’t have the money to make? Whatever your reason for having to sell your TX home, let us do the work, and provide the RIGHT solution for you! Selling Your Home For Cash Is a Fast And Easy Process, click here to learn more. In Texas, the median home value is $163,100. TX home values have risen 6.4% over the past 12 months and according to a forecast by Zillow they will rise an additional 3.2% by this time next year. The average listed price per square foot in TX is $115. The median price of homes currently listed for sale in Texas is $254,100. The average monthly rental price in Texas is $1,450. To find out more about the Dallas and Houston Texas markets, click here to read market information provided by Zillow. If You Are Behind On Your Mortgage Payments USA Cash For Houses Can Help. We will give you a fast, fair cash offer to help stop the foreclosure process. Get relief today in Dallas and Houston! Do you have a home that needs major repair work? Have you inherited a property that is filled with someone else’s belongings? Do you need to move immediately?If so, your probably need cash, and USA Cash For Houses can help. USA Cash for Houses has a team of experienced, knowledgeable Texas cash home buyers that are willing to pay top dollar for your property. Our process is quick and stress-free, allowing you to sell your home in as little as one week and avoid the inconveniences of a traditional sales process. When you work with a realtor to sell your home, he or she will expect it to be in good condition. You will need to make repairs, update the rooms and put away personal belongings. Once your home is in this condition, it can be listed and the showings will start. Once you get a fair offer on the property, you move ahead with the closing process, which can take 4 to 7 weeks. It takes time for the inspections and loan approvals to go through, and prospective buyers can get cold feet. When you sell your home to our Texas cash home buyers, the process is much different. We’re paying in cash for your home, so there are no inspections, appraisals or loan approvals to wait on. Once you accept your cash offer, we can proceed with closing. It’s as easy as that, and many people see a handsome return in cash. At USA Cash for Houses, we want you to be informed about the process to sell your home fast in Texas. It’s important to have realistic expectations and know what you have to gain from the experience. Here are a few benefits to working with our team! No Costs. We buy homes for cash in Texas – that’s what we do! We charge no fees and no commissions for our services. We even pay the closing costs, and get the cash! Quick Close. In most cases, we can close on a property in one week. Some people need longer, and that’s OK by USA Cash for Houses. Take your time, as we are supportive, understanding and flexible. Real Estate Advice. Our home buyers in Texas are happy to provide you with real estate advice based on your situation. If we feel that selling your home for cash isn’t the best decision, we’ll let you know. Homes Sold As-Is. We buy homes for cash in Texas in the condition they are in. You don’t have to make any repairs or do any cleaning. We are comfortable handling homes with water damage, fire damage, mold infestation, structural problems, etc. Receive Top Dollar. In Texas we buy homes for cash, and our investors are willing to pay top dollar! Our cash offers are always fair and based on real factors like the condition of your home and other local property values. If you feel trapped by your home and need cash now, let our USA Cash for Houses help. We specialize in cases like yours, and we’re happy to help you get back on your feet while making a profit on your current home. I was extremely pleased with Conrad Properties/ Cash For Houses. They were very professional, and worked hard to ensure our business was conducted quickly and professionally. They were always available and responded very quickly to any questions I had. They made a difficult situation much easier and I can highly recommend them. We buy houses in Dallas/Fort Worth companies – are they credible? Can I sell my Dallas/Fort Worth house in foreclosure?